I won’t further incite myself with a reciting of my Adventures in Airports; let me just say that, at times, I felt A) a bit like Bill Murray in Groundhog Day B) As if I’d never make it out of Fayetteville and C) incredibly TO’d. Originally scheduled to fly out of North Carolina early Saturday morning, I didn’t get home to Portland until Monday night. It was a nightmare or terrifying proportions, directly conflicting with a lot of my directly-control-the-situation, Batman-stemming beliefs. I did get my Australia flight pushed back � I fly Down Thursday, which should give me enough time to sign my off-campus lease and get back to Sydney for myup-and-down-the-coast-in-7-days-surf-camp. Still, my time at FT. Bragg was well spent. On the military side of things, I learned a lot about what superior officers, subordinate officers, and everyone else expects of newly-minted 2nd Lieutenants. My Uncle being the best 1st Lieutenants in the 82nd Airborne Division, I job shadowed him all week. But that was all learning through observation. 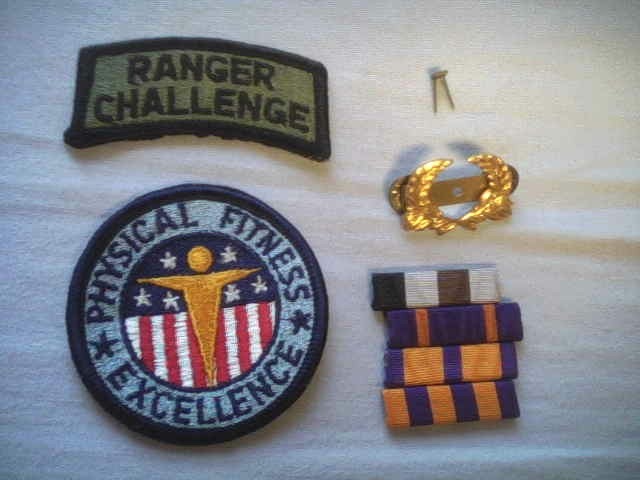 Part of my week was spent in the ranks, as a sort of average Infantryman. It wasn’t a complete integration, but it’s the closest I’ll ever get. Learning through direct experience, I was given the awesome opportunity to fire live rounds out of M4s (shortened M16s), M240s (the big old Rambo weapons), using NODs ($6,000 night vision goggles that are beyond 007-cool), and experience “stress situations” (ie, running 3/4s of a mile in squad formation and full battle rattle, then throwing yourself down behind mocked-up walls, doors, roofs, and houses and live-firing at sporadically appearing targets – but only the blue ones, practicing discriminating fire). Since Mt. Hood got 6 inches of powder in the week I’d been gone, I felt obliged to ski the good stuff. My Pa and I got some good slope-time in yesterday – don’t be confused by the pictures, though. He’s only experimenting with the snowboard. I still consider him a Skier with some identity issues. In Domestic news, I just got into Ft. Bragg, North Carolina. My Uncle Mike doubles as LT Adams of the 82nd Airborne. This week the Lieutenant will show the Cadet a few of the ropes (including Infantry PT sessions, the use of night vision goggles and a few weapons). I’m also lucky enough to spend some quality time with his family (in increasing order of age) – Drake, an infant with better manners than some adults I know (no crying, no tantrums, no squirming during diaper changings), Delaney (pre-K), who melts my heart when she hears my voice on the phone and asks Mike if she can speak to “Joshy Bear,” and Drake (1st grade), a Spider-man loving one-upper (you ate two bowls of Kix, Josh? I ate seven! ), and Jennifer, the poster-mother of ‘wifery as a full-time job’. They’re a pretty cool bunch. Also, Mike plays intramural hockey with a few Delta Force Operators, so I’ll get to see a few of those games. In International news, I leave for Australia Monday, January 31st. I arrive in Sydney Wednesday, February 2nd at 6:15AM. After I make the “I’m okay, I got in safe” calls, I’m railing up to Newcastle (a 2.5 hour train ride). I’ll be picked up at the train station by Pete, the manager of the Hutchins House, where I’m living (it’s off campus � one bus ride from the University and 10 minutes from the beach). I’ll drop my stuff off at the house, tour around Newcastle and sign the contract. Then I’ll grab my backpack and hit the rail. I might hit Tasmania, but it’s pretty up in the air. What I know for sure is: I’m taking a 7-day surf camp, starting Monday and finishing up right before school starts. Any of you are welcome to bother me in Newcastle. It’s probably the cheapest chance you’ll ever get to visit the GDU (Great Down Under). I won’t have much except a floor to sleep on, a safe place for your stuff, and a detailed knowledge of where to go and what to see, but what else do you need? If you’re a student, check out www.studentuniverse.com for low, low ticket prices. Seriously, folks. I’ll also be writing for the Index, Truman’s fine student newspaper. Just like Hemingway, except I’ll be writing correspondence on how people treat me when I tell them I’m Canadian versus American and how everyone thinks Americans are deceptive, stuff like that. I’ll send those out as they’re published. BTW, I’m still sitting on AIM as ORsolidarity. I know nobody will message me, but I’m there if you want to. Also, unless I find a cool Internet cafe or something, the only Internet access I’ll have will be when I’m on campus – Monday, Tuesday, and every other Wednesday. So give me a little bit of time to respond to e-mails and the like. 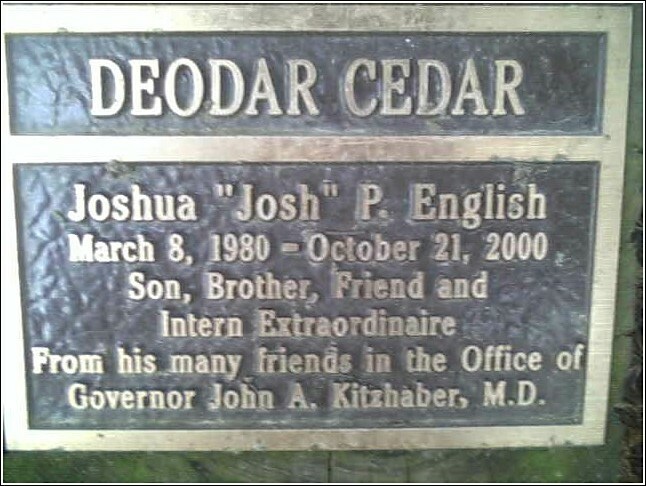 The attached little gem-of-a-memorial is a camphone pic taken in Oregon‘s beautiful capitol, Salem. I thought it was pretty neat-o and, at the very least, worth sharing. digital copy of the Ranger Challenge Alpha Team with Major General (two stars) Castro. Yeah, I shook his hand. He looked CDT Fenton in the eye, shook my hand and said “good luck.” It was pretty cool. Yeah. These last two aren’t pictures, but still worth clicking. The first is a countdown site until I return (dorky, I know, but still semi-useful). The second is a sicka-sweet commercial that McDonald aired in Israel. It’s subtle humor, and the punch line isn’t at the end. If only they’d show this sort of thing in America. The Chapelle Show, minus Dave Chapelle, visited our sleepy little campus Tuesday. For a bunch of co-hosts, it wasn’t a bad way to kill 90 minutes. Far more importantly, Nader visited Wednesday. 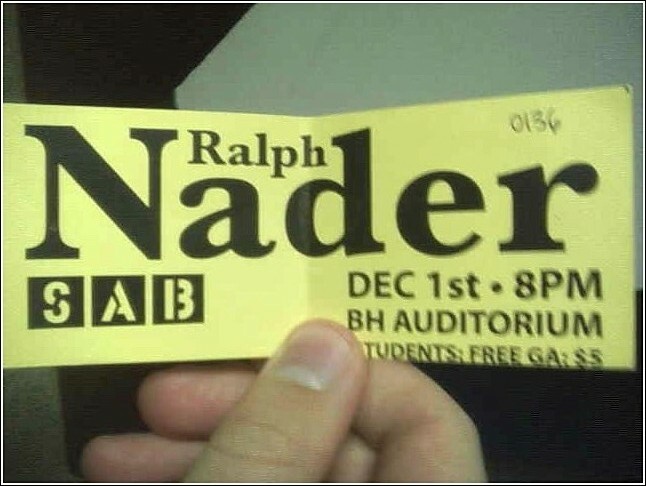 The Ralph Nader. The Ultimate Consumer Advocate. He who put seat belts in cars. I’ve never seen Baldwin Auditorium packed so tightly. They crammed them into the cracks between the walls. How was he? I can’t judged that; I love the man too much. The man has only two faults, IMHO, and they’re both honest and entirely forgivable. He tends to get a little too Upton Sinclair (which showed through Wednesday). He also doesn’t know the secret to a long life (knowing when it’s time to go). But heck, everyone from Mellencamp to McCarthy is guilty of that second one. And there are far worse vices than the first one. Besides, he’s motherloving Ralph Nader. Less importantly, Sara Logan has recently informed me of an incident I feel compelled to pass on. If you are adverse to tales of senseless violence, skip this the rest of this paragraph. Sometime last month, two Decatur (smack dab in the middle of Illinois) teens hopped the fence at the local zoo and used a machete on two flamingos and a pelican. There is no suspected drug use. I wouldn’t bring it up in this family newsletter except that it’s honestly the most bizarre story of criminal activity I’ve ever ever heard of. Finally, the Battalion fall award ceremony was Thursday. I don’t want to pontificate; most of these awards are participation-based. The Bottom badge is for scoring above 270 on the APFT and the Gold Wreath is for being in the top 10% of the Military Science classes. The Ribbons, from top to bottom are: Gold Athlete award (290-299 APFT), Cadet Honors (3.2-2.5 GPA), ROTC Honors (4.0 GPA in Military Science), and for the Highest Jump in Semester GPA. I’m proud of them all, but I can’t shake the feeling that I’m getting award for my excellence in spelling. Embarrassingly, five of my awards were the first five awards to be awarded. It was slightly awkward to shake the colonel’s hand for the fifth consecutive time. Not that I’m complaining, mind you. PS – I did get my Visa, so I am going to Australia. For five straight months. To enjoy the sand and surf. And maybe study. PPS- If you want off this crazy e-mail list, you’ll have to defeat me in a Thai Kickboxing match or send any sort of e-mail to this e-ddress. Whichever comes first. The Australians don’t really rush too many things, including international student applications. I submitted my application in August and now, four months later, I have received confirmation of enrollment. If I can get my student visa and my housing set-up, I’m going. And I will get my student visa and housing set-up. The firstday of class is February 14th (! ), so I leave sometime before that. If you want a postcard, I’ll be happy to send you one. Just e-mail me your address. The ROTC guys “don’t encourage” Studying Abroad, however, which means I might not get to go to a school this summer. I had my heart set on Air Assault (two weeks of learning how to rappel out of helicopters, 101st style). Now, because of Australia, I’ll be lucky if I get to go to Airborne (parachuting out of airplanes, 82nd style). In an interesting turn of events, my German class has gotten worse since Kerry lost the election. Herr Taylor isn’t an in-your-face-liberal or anything, but his disappointment and disgust was pretty visible on Nov. 3. Since then, our homework has doubled – in both quantity and difficulty. The only other semi-interesting thing that I’ve done in the time since our last chat was a little road trip to Centerville, Iowa, 20 minutes from the border and 40 minutes from Truman. Having never been to Iowa before, I was pretty impressed. Greg (my buddy from Des Moines who I normally call “Iowa” but will call Greg in this email. To avoid confusion) had to buy his mother a gift. And let me tell you, Centerville is the place to buy classy gifts in Iowa – he got her a very impressive snowman painting. (three prepubescent MTV-thug wannabes), but everyone one else was incredibly tactfully, well-spoken, and articulate. I was impressed – heck, without my chaperon, I don’t think I would’ve lasted more than two seconds in Iowa. Most polite state in the Union. Also, if you happen to be in Portland, ORegon this Thanksgiving, I cordially invite you to swing by Case de Fenton ([removed] / Troutdale, OR) this Friday around 7:30PM. For the standard BBQ and hijinks. Invite whoever else you want. I ran the Bulldog 5k (3.1 miles) last Saturday, more for fun than anything else. It was pretty low-key and I finished in 22 minutes, 54 seconds; around the middle of the pack, which suits me – I can’t stress how really good it felt just to run. Without boots or a ruck or anybody breathing down my neck. My column turned out a little more explosive than anyone expected. Before I knew what I happened, it had spawned three or four letters to the editor and a counter-column. Maybe the Index likes that sort of reaction, maybe they don’t. As previously stated, if they want more from me, they know where to find me. Like Churchill said: “You have enemies? Good. That means you’ve stood up for something, sometime in your life.” I’m not worried.